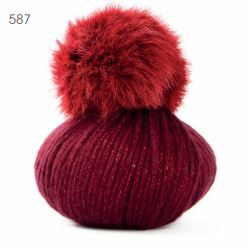 Mondial’s Lady Lame chunky yarn comes with a toning bobble, making this perfect for hat knitting. 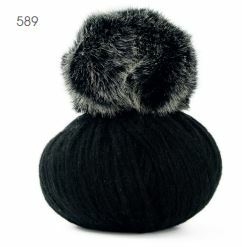 One 100g balll is enough for a hat that will fit an adult female. 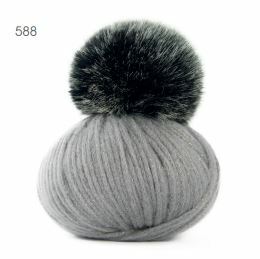 Two balls will make a scarf, and if you taper the end, you can sew a pom-pom to each end. The yarn has a subtle sparkle that tones with the main colour. The cost includes 2nd class Royal Mail in the UK.